Whitby is a seaside town, port and civil parish in the Borough of Scarborough and English county of North Yorkshire. It is located within the historic boundaries of the North Riding of Yorkshire. Situated on the east coast of Yorkshire at the mouth of the River Esk, Whitby has an established maritime, mineral and tourist heritage. 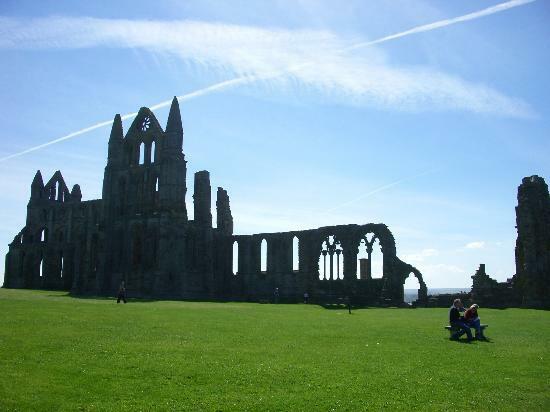 Its East Cliff is home to the ruins of Whitby Abbey, where Cædmon, the earliest recognised English poet, lived. The fishing port developed during the Middle Ages, supporting important herring and whaling fleets, and was (along with the nearby fishing village of Staithes) where Captain Cook learned seamanship.